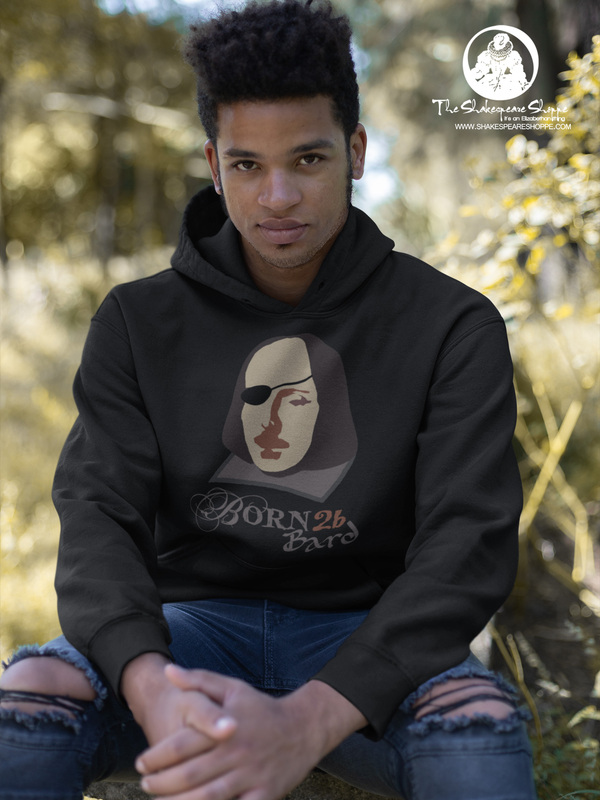 This fun design featuring a pop art rendering of of Shakespeare with the wording “Born 2B Bard” is perfect for anyone who loves the Bard, but doesn’t take themselves too seriously! Also available on t-shirts! And bags! And mugs! Get yours now! Available on hoodies, tshirts & more!